Baku has been awarded the 2021 trampoline world championships, with the 2020 acrobatics equivalent going to Geneva, it has been announced. The decision was made by the FIG Executive Committee at its meeting in Pacific Harbour, Fiji. “We’re delighted that countries who had never previously hosted World Championships in these disciplines have applied to organise these big events,” said the FIG President Morinari Watanabe. 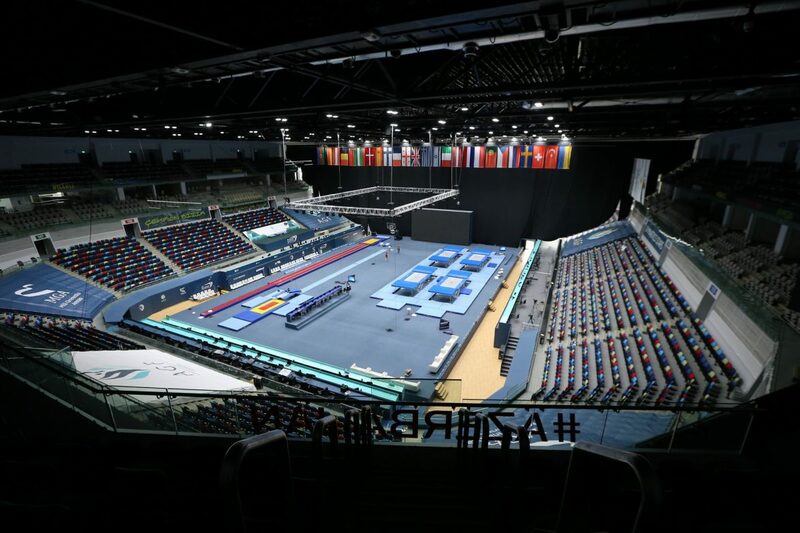 The 2021 Trampoline World Championships will take place at the National Gymnastics Arena, the same venue which staged gymnastics events at the inaugural European Games, from November 11 to 14. It will be followed by the World Age Group Competitions, which will run from November 19-22. While Azerbaijan has never hosted the trampoline world championships, it has held world cups in the discipline, in 2016 and 2017. The Azerbaijan’s capital also hosted the 2018 European Championships in trampoline, double mini-trampoline and tumbling. Mehriban Aliyeva, the president of the Azerbaijan Gymnastics Federation, is confident that organising the trampoline world championships will be boost for the disciplines in the region. Aliyeva said: “I am confident that organizing the world championships in trampoline gymnastics, tumbling and double mini-trampoline in our country in 2021 will contribute to the further development and popularisation of this gymnastics discipline, as well as helping strengthen international relations in the field of sports”. The next trampoline world championships will take place in St Petersburg, Russia, on November 7-10 this year, with Tokyo playing host to the 2019 championships.